Statement graphic choker-length bib necklace . Versatile and very comfortable, can easily be dressed up or down. 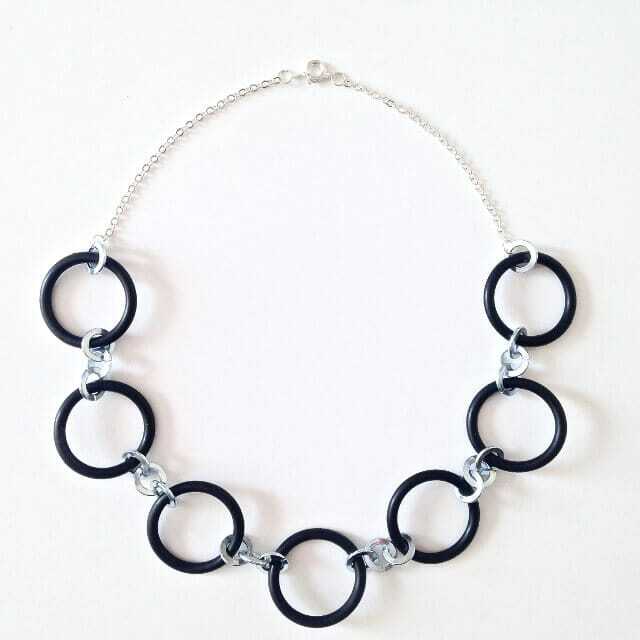 Ideal for the modern woman, who has an active lifestyle and/or work environment and is looking for practical, easy maintenance yet stylish and eco friendly jewellery. Can easily be dressed up or down, to complement your business outfit, a dress on a night out or with a more relax look. Matching dangling earrings also available.